Local musicians and artists are gathering each Thursday in April at Trinity Park to perform and create art. If you haven’t yet visited Brookhaven, Music and Art in Trinity Park is the perfect opportunity for a slice of the community culture that values art and music! Brookhaven’s bustling, homegrown music culture is something to be experienced. We think Music and Art in Trinity Park is an excellent way to see what it’s all about. 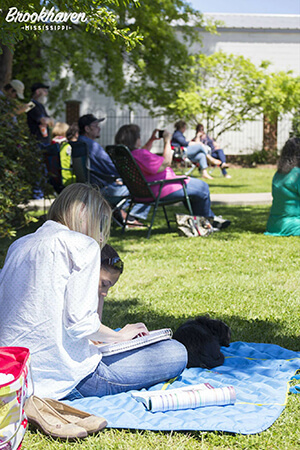 Bring a lunch and a lawn chair or blanket and enjoy your midday with some sunshine, some music and some art!